To ensure Windows Defender Antivirus cloud-delivered protection works properly, you need to configure your network to allow connections between your endpoints and certain Microsoft servers. This topic lists the connections that must be allowed, such as by using firewall rules, and provides instructions for validating your connection. This will help ensure you receive the best protection from our cloud-delivered protection services. See the Enterprise Mobility and Security blog post Important changes to Microsoft Active Protection Services endpoint for some details about network connectivity. The Windows Defender Antivirus cloud service provides fast, strong protection for your endpoints. Enabling the cloud-delivered protection service is optional, however it is highly recommended because it provides very important protection against malware on your endpoints and across your network. The Windows Defender Antivirus cloud service is a mechanism for delivering updated protection to your network and endpoints. Although it is called a cloud service, it is not simply protection for files stored in the cloud, rather it uses distributed resources and machine learning to deliver protection to your endpoints at a rate that is far faster than traditional Security intelligence updates. See Enable cloud-delivered protection for details on enabling the service with Intune, System Center Configuration Manager, Group Policy, PowerShell cmdlets, or on individual clients in the Windows Security app. After you've enabled the service, you may need to configure your network or firewall to allow connections between it and your endpoints. 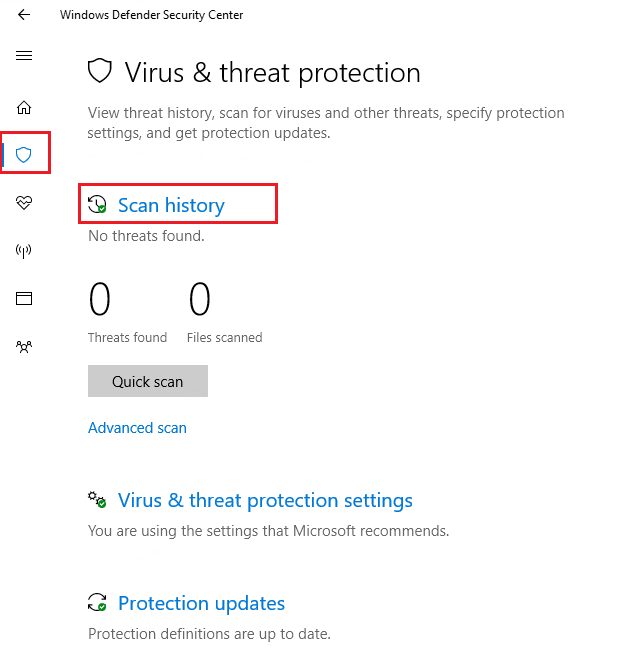 After whitelisting the URLs listed above, you can test if you are connected to the Windows Defender Antivirus cloud service and are correctly reporting and receiving information to ensure you are fully protected. You need to open an administrator-level version of the command prompt. Right-click the item in the Start menu, click Run as administrator and click Yes at the permissions prompt. This command will only work on Windows 10, version 1703 or higher. See Manage Windows Defender Antivirus with the mpcmdrun.exe commandline tool for more information on how to use the mpcmdrun.exe utility. 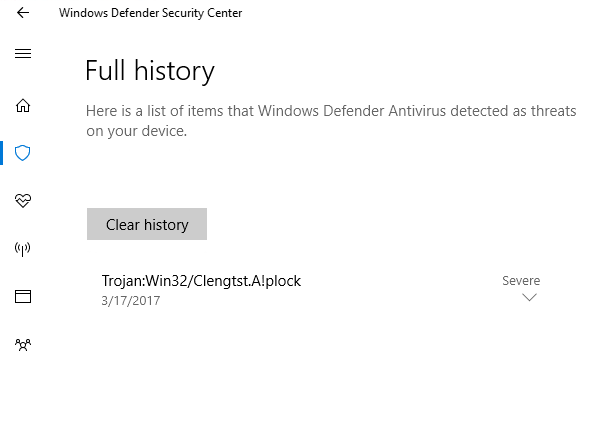 You can download a sample file that Windows Defender Antivirus will detect and block if you are properly connected to the cloud. This file is not an actual piece of malware. It is a fake file that is designed to test if you are properly connected to the cloud. Versions of Windows 10 before version 1703 have a different user interface. See Windows Defender Antivirus in the Windows Security app for more information about the differences between versions, and instructions on how to perform common tasks in the different interfaces. The Windows event log will also show Windows Defender client event ID 2050. You will not be able to use a proxy auto-config (.pac) file to test network connections to these URLs. You will need to verify your proxy servers and any network filtering tools manually to ensure connectivity.